Over three growing seasons, you must cultivate trees with the right mix flowers, animals, and branch arrangements to make your Kodama as happy as possible. Whoever cares for their Kodama best will be remembered for generations! 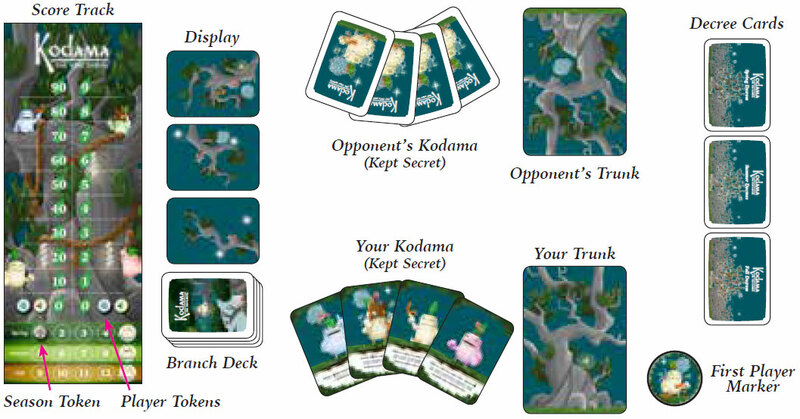 Kodama: The Tree Spirits allows players to grow a tree by placing branch cards in clever arrangements, being careful to leave room for future growth. At the end of each round, one Kodama will award you points for how well your tree suits its needs. With beautiful art and innovative tactics, Kodama is a great game for the whole family. The first is by placing branch cards with icons that match the icons on branch cards that connect to it. The second is by playing Kodama cards. Each branch card features an assortment of six possible icons: caterpillars, clouds, fireflies, flowers, mushrooms, and stars. The branches themselves come in a variety of organic shapes. Each trunk card features one icon unique to that trunk. Several branches emerge from the trunk and extend beyond the card's borders. 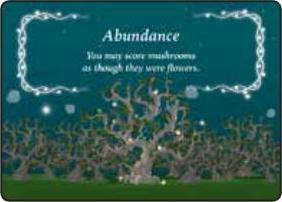 Each Kodama card depicts a tree spirit and the conditions they prefer for their new home. Each Decree card sets a special play condition for Spring, Summer, or Fall. You can tell which season a decree belongs to by looking at the card back. 1. Set the score track on the table. Place the season token on the season track on the word "Spring". 2. Give each player a random trunk card. Place your trunk card at the edge of the table so that the tree grows from you toward the middle of the table. 3. Place the player tokens that match the icon on your trunk on the two spaces marked "0" on the score track. Example: If your trunk has a mushroom on it, your player pieces will be the two with the mushroom on them. 4. Shuffle all of the Kodama cards together then deal four to each player. 5. Shuffle the Decree cards for each season separately. Set one Decree card for each season facedown to the side of the play area. 6. Return any unused Kodama cards, Decree cards, trunk cards, and player tokens to the box. 7. Shuffle all of the branch cards together to form the deck. Keep it facedown beside the play area. 8. Draw three branch cards from the top of the deck and set them faceup in the middle of the table to form the display. 9. The player wearing the most green starts the game as the first player. Give that player the first player marker. 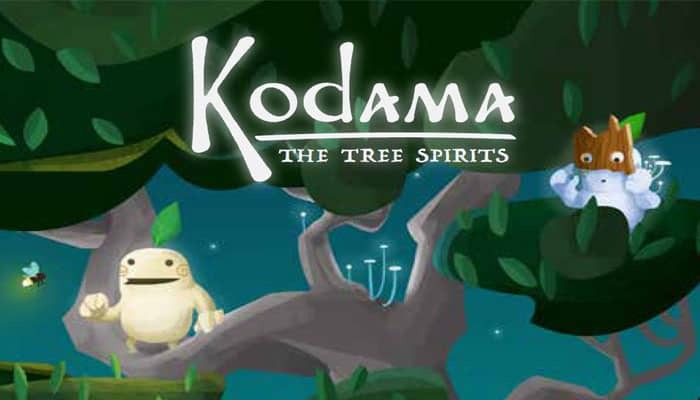 Kodama: The Tree Spirits is played over three Seasons. Each Season is divided into a Decree Phase, a Growing Phase, and a Kodama Phase. In the Decree Phase, the Guardians of the Forest set unique conditions for the players. 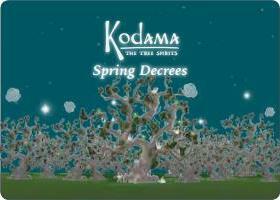 During each Growing Phase, players grow their trees to make them more enticing to the Kodamas in their care. 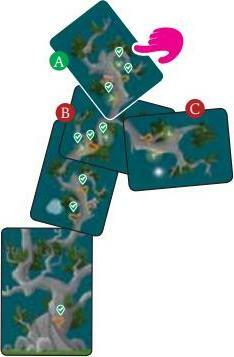 The Growing phase is divided into four rounds in which each player takes one turn growing their tree. In the Kodama phase, players choose one of their Kodama to live in the tree and the Kodama awards points. Reveal one Decree card and the first player reads it aloud for all players. This card will set a special rule for players to follow during that season, which will make more sense once you've read the rest of these rules. For now, keep the Decree card for this season visible and accessible to all players. During the second and third Decree Phases, discard the Decree card from the previous season. Notice where the branch extends off the edge of the card? That part must touch the branch of another card. (IN other words, it should look like a growing branch). The newly added card can only touch one other card. You must not cover any of the features. Your branch card must not hang over the edge of the table. You cannot place a branch card that would cause you to score more than 10 points this turn. (SEE Step 2 below). This 10-point maximum does not include any points gained from Decree cards. Try not to move any of the other cards on your tree. Once has a branch card has been scored, it is not allowed to be moved. You've just taken a card from the display and you want to add it to the tree on the right. You test out a few locations first to see if they are legal. A Hangs over the edge of the table, so it is illegal. B Visibly overlaps more than one card and partially covers a feature on the card underneath, so it is illegal. C Directly touches only one card, doesn't cover a feature, and doesn't overhang the table, so it is allowed. After placing a branch card, look at the icons on that card. You score 1 point for each instance of those icons in that contiguous line of cards. You do not score points for other instances of that icon if they are not part of this contiguous line of cards. You only score points based on the icons on the branch card you added this turn. Those icons must be part of a contiguous line of cards with the card you just added. Any other icons elsewhere on the tree do not score points. The contiguous line of cards extends from the card you just added, continuing down toward the trunk or until the shared icons do not appear on a card. A You just placed a card featuring two fireflies, one pink flower, and one caterpillar. Tracing this line of cards down to the trunk, you score 1 point for each firefly and caterpillar on those contiguous cards, including the card you just placed. (NOTED by checkmarks). 9 points total! B.Though you do have a flower on your newly placed card, you won't score for the flowers because this card interrupts that contiguous line. C You won't score the fireflies on this card because it's not part of the contiguous line of cards tracing from the card you just placed down to the trunk. Scoring never "doubles back" even if the branch forks. Add a card from the top of the deck to the display faceup. If you are the first player, advance the season token one space on the season track. After each player has taken four turns in a season, she will score a Kodama card. 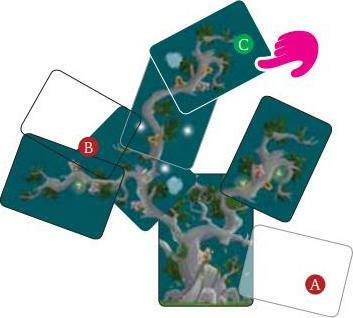 In turn order, each player chooses one of her Kodama cards and scores points based on the conditions noted on the card. After a Kodama card has been scored, it can be returned to the box as it will not be used again. After each player has scored a Kodama card, the first player passes the marker to the player with the lowest score. If there is a tie, give it to the tied player closest to the left of the current first player. Then start the next Decree Phase. At the end of the third Kodama Phase, the game is over. Players will be left with one Kodama card in their hands that will not be used. The player with most points has made her Kodama happy and thriving! The forest will grow verdant and bountiful in her care.